When you come to design your commercial playground careful planning of the structure is important to ensure there are no “pinch points” where pushing and jostling can lead to an accident. Here is our selection of nets, rock walls, climbing walls etc. We recommend that normally each clubhouse should have at least one and preferably two entry and exit points. Remember that some access components work as “up” and “down”, such as a ladder, whereas slides are definitely “down” only. The choice of ways up will also depend on the age groups of your children. The most challenging activities are our vertical nets and rockwalls. These can access the Jungle 1.5m deck or the Mountain 2.1m deck – but be aware of the safety surfacing and free space regulations in EN1176/EN1177. Some accessories take up a lot of space – eg the gangplank – while others take up much less. 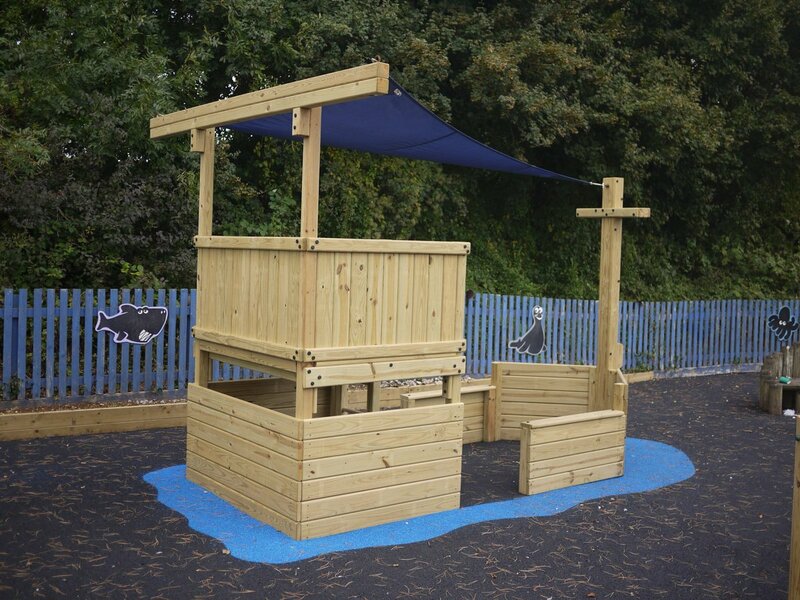 So you can use different combinations of items to make the most of your space and your playground. Normally our nets and rock walls extend around 1.5m for the clubhouse sides (and then you need another 1.5m free space). But we can make these at a size to fit your requirements. Pleas ask us for details. Here is a selection of the accessories we offer – click the thumbnails for more information. But not everyone is confident enough to make those sorts of climbs, So we also have a big selection of ladders, steps, gangplanks and rope ladders so you can create some easier ways too. Our gangplanks have a solid timber handrail up each side for safety, and we have special grips fitted between alternate planks to help avoid slipping. Our ladders have solid 4×4 sides and hardwood easy-grip rungs so they are strong enough for any sort of playground use and child-friendly. And if the ladder is a challenge too far we have steps too – with or without handrails.